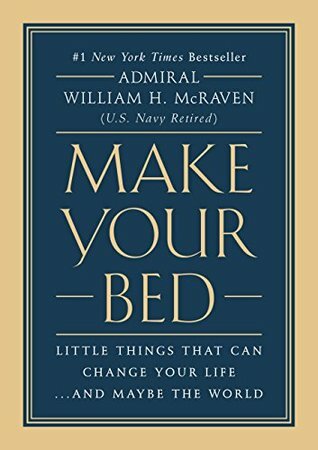 In Make Your Bed, author Admiral William H. McRaven shares the principles he learned during his training as a Navy Seal. These principles, which focus on overcoming fears, trusting your abilities, and most importantly, taking control of your own life, can be applied to any area of life. Admiral William H. McRaven (U.S. Navy Retired) served with great distinction in the Navy. In his thirty-seven years as a Navy SEAL, he commanded at every level. As a Four-Star Admiral, his final assignment was as Commander of all U.S. Special Operations Forces. He served as the Chancellor of the University of Texas System from 2015 - 2018. When things seem difficult, work even harder. Trust in your abilities to get the job done. Find the courage to stand your ground against those who try to push you around.